C++ is a general-purpose programming language. It has imperative, object-oriented and generic programming features. Since C++ is rather lower level, the language is huge and can handle a lot of complex things such as memory management and more. You also need to write a lot of code before you can get a working prototype if you're planning on building an app from scratch. C++ is standardized by the International Organization for Standardization (ISO), with the latest standard version ratified and published by ISO in December 2014. It was designed with a bias toward system programming, resource-constrained and large systems, with performance, efficiency and flexibility. C++ has also been found useful in many other contexts, with key strengths being software infrastructure and resource-constrained applications, including desktop applications, servers, and performance-critical applications. So, why should you learn C++? C++ is generally more performant than dynamically typed languages because the code is type-checked before it is executed. Java is gaining ground in terms of speed, but in the end, depending on how talented the C++ developer is, C++ can still be faster than Java. C++'s greatest strength is how scalable it could be, so apps that are very resource intensive are usually built with it. Graphics require a lot of resource - best example computer games. The most beautiful 3D games you happily feast your eyes on are often built with C++. Technically correct, but if you want to know low level programming, learn C. This is what software like the Linux kernel actually uses, and it's an easy language to learn when compared to C++. But, C++ code usually abstracts away all the low-level stuff anyway, so you don't have to deal with it. Since you have a lot of control over how your app uses resources, your app can take up very little resource. All in all, since C++ can be very performant in the right hands, enterprises often use C++ to code functions that have a critical reliance on speed and resource usage. C++ needs a lot of code, which means you need a large team to scale a C++ app, and from a time and financial investment point of view, C++ not easy to scale. Also, since you have to do a lot of things manually with C++, it's easy for less experienced or less skilled developers to introduce errors into the code base. You can create flexible object-oriented components using a high-level language. C++ is the core of object-oriented programming elements. Some high-level languages may, for instance, provide single inheritance alone or no polymorphism at all. When you are looking for professional components programming, C++ is definitely there for you. You will have noticed that most large-scale programming projects are created in C++. C++ is a pretty nice combination of a low-level language like C, also combining some of the high-level elements of a language like Python. C++ Standard Template Library provides you with a vector type that can be used to dynamically allocate memory for integers, chars or whatever data structures you want to. Moreover, C++ object orientation allows you to properly modularize your programs so that you can better maintain and debug your code. C/C++ is everywhere. In particular, the power more technologies than we give it credit for. Most operating system kernels are written in C, including but not limited to Windows, Linux, Mac, iOS, Android and so on. Modern browsers are also written in C/C++. like Chrome, Firefox etc. Modern game engines are written in C/C++, like Unity3D, Unreal Engine, cocos2d-x etc. 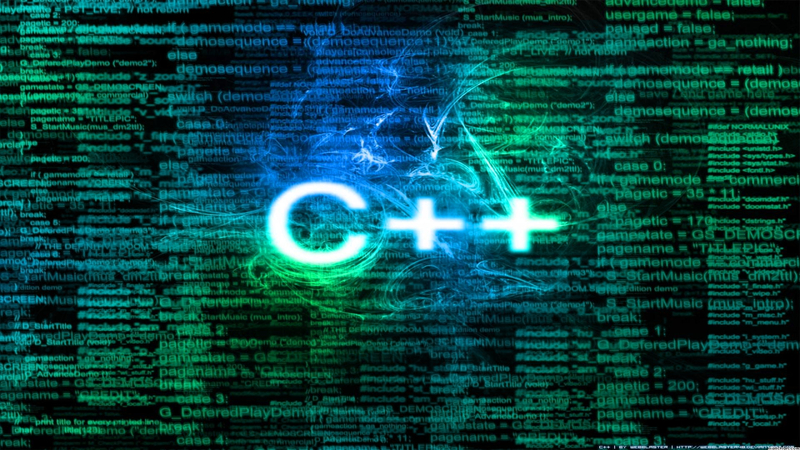 If you want to develop mainstream games, chances are you'd need to use C++. Many mobile best-seller games were built with Cocos2d-x, which is a free, open-sourced and cross-platform game engine. Cocos2d-x games are developed with C++. However, as the support for other languages is a relatively recent addition, you'd likely find better documentation for Cocos2d-x. Furthermore, large companies such as Facebook also may need C++ developers to help optimize their apps or work on their products.